Look, up in the sky! It’s a bird! It’s an F-35! No, it’s OJC on United 84, leaving Newark and headed for Tel Aviv’s Ben Gurion Airport. OJC?! 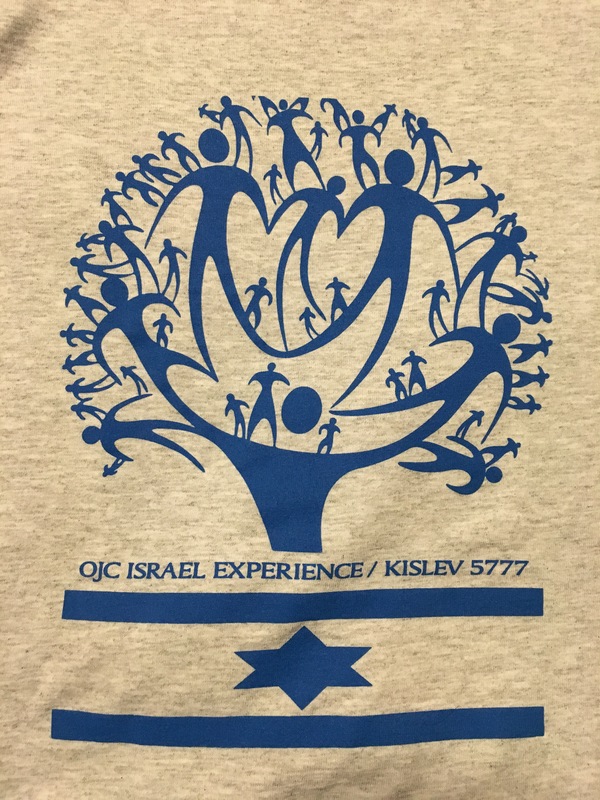 Yes, OJC, where just one month after sending 24 people on a week-long volunteer mitzvah mission, the congregation is sending a delegation of 39 for the 5777 OJC Israel Experience. Last week, Prime Minister Netanyahu called Israel’s “long arm” longer and mightier with the arrival of two F-35 fighter jets. There is no debating the qualitative advantage these machines provide to Israel for the protection of the Jewish homeland. 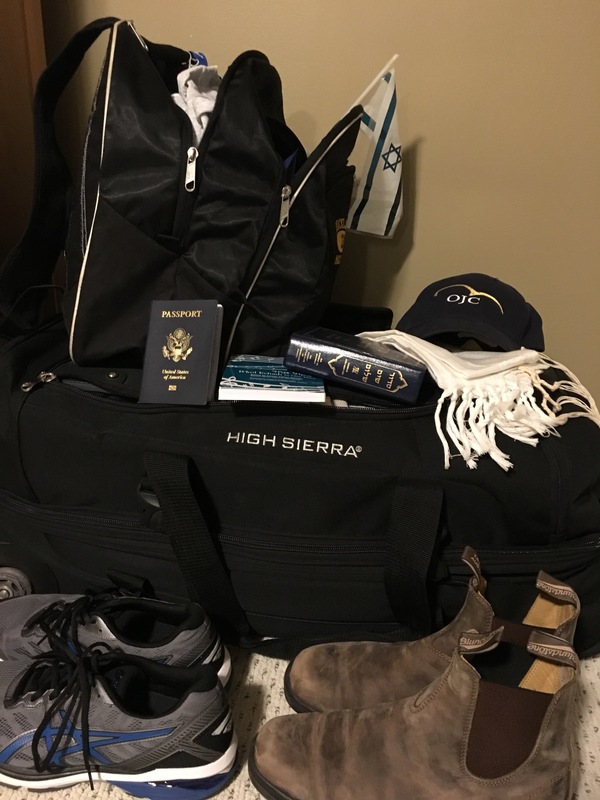 I like to think of our frequent Israel trips as the long arm of OJC, made longer and mightier with each trip, providing a qualitative advantage to the Jewish identities of those participating in our trips. It is remarkable to consider, in a community of 500 households, how many people will represent us in Israel in the year 5777. Between our synagogue trips, college students on Birthright, Conservative Yeshiva or semesters abroad, high schoolers on USY or Ramah summer programs, 8th and 12th graders participating in Schechter school trips, our children making aliyah, congregants visiting friends and families, and individual families taking a 2-week tour, I estimate that at least 120 individuals will touch down in Tel Aviv. It brings your rabbis tremendous naches (comfort/pride) to sense the strong connection that our OJC community shares with Eretz Yisrael. As a factor that heavily influences Jewish engagement and future identification, our Israel connection bodes well for the next generation, despite the widely reported trends to the contrary. The OJC Israel experience is also one committed to appreciating the nuances of the relationship we share with Israel. Firmly committed to her security and longevity as the Jewish state, we also acknowledge the challenges–particularly the political, religious and social–that Israel faces in maintaining a democratic and pluralistic character and in living up to our Jewish ideals. Our journey will take us back in time to trace forward the progression of the Zionist dream: from the history of Jerusalem (the city of Zion) to the earliest Zionist dreamers, to the British Mandate, to the survival of Shoah, to the founding of a State, to the development of the Negev, to the birth of a start-up nation. We’ll celebrate a bat mitzvah and the holiday of Chanukah, experience a Jerusalem Shabbat, reunite with friends and family, and partner with communities. We’ll learn, feel, struggle and grow. We’ll fly, float, eat, climb, ride, eat, shepherd, plant, eat, sing, package, eat, pray and maybe even jog. I guarantee you, we’ll come back more tired than we left (and perhaps a couple pounds heavier!). We’ll strengthen our understanding, our commitment, our identities and our community. This is the OJC Family Israel Experience 5777. And today is Day One. We depart from the synagogue lot today at 12:30pm, only hours from now. Follow us for the next 10 days with our daily blog and Facebook posts. I am so happy that I can join the OJC family on this trip via the blogs. Have a wonderful (and safe) trip. Enjoy all that Israel has to offer and we hope you will come back richer for the experience. 500 families wish you well.